In this workshop, Steve Baty (a.k.a. @docbaty) from Meld Studios presented various techniques to support project teams to envision innovative concepts for new online services. ~ Sketch notes: Part 1 and part 2. In the afternoon, Chris Risdon (@chrisrisdon) from the US design agency Adaptive Path took the stage. At high speed, Chris introduced techniques for experience mapping to provide insight into customer interactions of physical and digital services. Especially his section on cartography was interesting. Chris showed examples of building blocks to visualize a comprehensive story. Unfortunately, his slides are (as yet) unavailable, but their Guide to Experience Mapping (.pdf) provides a pretty decent version of his presentation. In 2012, Chris gave a similar presentation at UX Week. During the second day of the conference, I attended a workshop on Collaborative Research. Erika Hall (@mulegirl) of Mule Design provided a fascinating and familiar story on the reasons why important business and design decisions often result in bad products and services. According to Erika, people – with their irrational habits – collaborating inadequately is the biggest threat to effective research and great designs. The most important take-aways of her workshop were to focus on the right questions, to remain critical and doubt everything, to be conscious of noise (bias) and your own preconceptions while doing research. Her story was filled with tips to conduct research in a pragmatic way. On the basis of a self-developed model, Tim Bosenick (@sirvaluse) of GfK presented how Volkswagen deployed a tool to measure the ROI of UX in order to effectively manage a UX budget and provide management with a better understanding of the added value of UX. His story sounded promising but perhaps due to the upcoming lunch, I had a hard time concentrating and gained relatively little from it. Christina Wodtke (@cwodtke) told her audience how she applied gaming principles in her design work for large entertainment companies, such as Zynga. Her motto is to always design for the desired emotion. Furthermore, she explained the use of player types, engagement styles, game loops, game mechanics, and aesthetics. These, these and these references and the sketch notes provide an adequate representation of her story. Citizen experience design and you! Steve Baty (@docbaty) told an interesting story on reframing, the ability to take a different perspective approaching similar problems. According to him, reframing is essential for the creative potential of designers for getting new innovative ideas. Unfortunately, his slides are not available (yet), but these and these pages and the sketch notes provide an adequate representation of his story. Unfortunately all good things come to an end. I sincerely enjoyed UXLX. To sum it up, the conference was very well organized (Thanks Bruno!) and took place in the wonderful Lisbon at a wonderful location. The pre and after parties, the delicious lunches and other side activities provided the opportunity to meet a lot of like-minded people. The line-up of thought leaders and experienced professionals was also well chosen. The workshops, quick talks and keynotes were a good mix between research, strategy and design subjects. Primarily process-related and less technology-related, which I appreciated. I guess it will take some time to digest all the information and apply it to my daily work, but I am definitely looking forward to it. Let’s see what this year will bring and hopefully until next year. 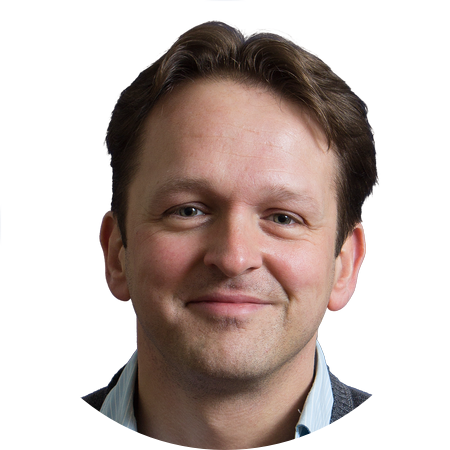 Bart van Velzel (@bvvelzel) works as a user experience designer at Informaat. He has a solid background in human computer interaction and over 12 years of experience designing innovative services for various entertainment, IT and financial organizations. Bart is passionate about design and always strives to make services in the digital world enjoyable and easy to use. When he’s not designing elegant interfaces, he enjoys cooking, photography and traveling.